With the Amigos para Siempre concert series, lovers of Latin-inspired music are in for a treat this October. The three concerts feature three internationally recognised artists, including acclaimed Cape Town based Flamenco guitarist Saudiq Khan; renowned concert pianist and musical entrepreneur Christopher Duigan; and South Africa’s leading guitar maestro James Grace along with an exciting line-up of talented local artists. The Latin Music concerts are presented by Stringwise Records. 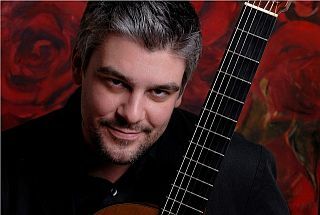 The concert series is coordinated by James Grace, who is head of UCT’s College of Music’s Guitar Studies. He explains the forthcoming series follows from the success of the Magnum Opus concert series hosted earlier in the year.” This time we wanted to involve more artists on stage, hence the amigos (friends) theme, so each concert involves several musicians performing in various ensembles. The Latino theme enables us to do that with great variety. “We are delighted to provide a platform to showcase the versatility of our world-class musicians and are thrilled to be introducing the celebrated Spanish saxophonist, David Salleras, to local audiences,” adds Grace. Salleras, who is based at the Barcelona Conservatoire, is considered one of Europe’s most exciting and innovative composers and performers. Where? Chisholm Recital Room (C7) at the South African College of Music at UCT (opposite the Baxter Theatre) at 8.15pm. How much? Tickets are R80 and include complimentary wine. Students pay R50.